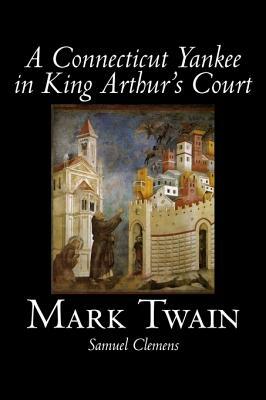 This novel of Mark Twain's -- A Connecticut Yankee in King Arthur's Court -- gives us an odd view of the American literary genius: it shows is bent twoward science fictional. Twain wrote the book as a burlesque of Romantic notions of chivalry after being inspired by a dream in which he was a knight himself and severely inconvenienced by the weight and cumbersome nature of his armor. A Yankee engineer from Connecticut is accidentally transported back in time to the court of King Arthur, where he fools the inhabitants of that time into thinking he is a magician--and soon uses his knowledge of modern technology to become a "magician" in earnest, stunning the English of the Early Middle Ages with such feats as demolitions, fireworks and the shoring up of a holy well. Twain's fascination appears in his time traveler (from contemporary America, yet ), using his knowledge of science to introduce modern technology to Arthurian England. As with all works of a master like Twain, we highly recommend this novel -- but just between us, this book is a lot of fun, too. Go ahead, read it now.